Keeping freezer meals for the crock pot on hand is a great way to plan ahead to make meal prep easier. This quick sauce is a copycat recipe for Chinese Beef and Broccoli. 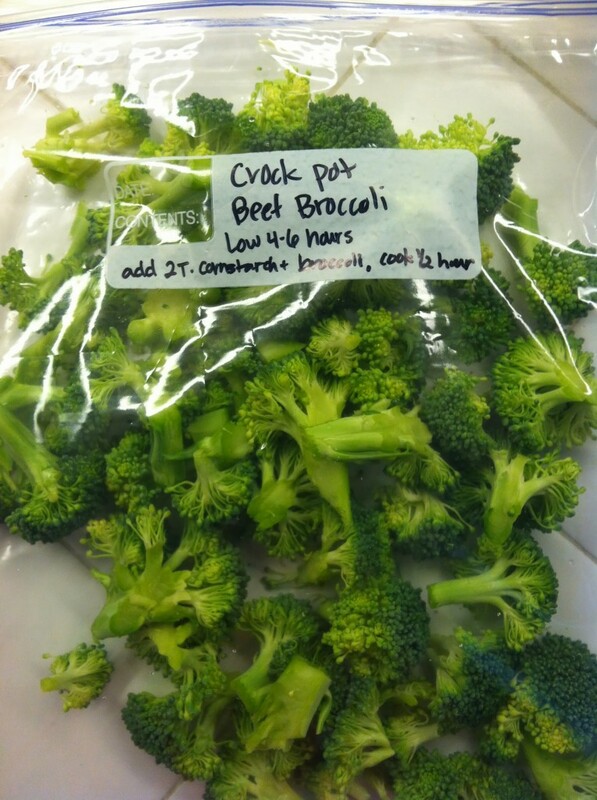 Marinate your meat for cooking in the crock pot, then add some broccoli and serve over rice. Put the sliced beef in the bottom of the crock pot. Mix together the broth, soy sauce, brown sugar, garlic and sesame oil. Pour over the beef. Cook on low 5-6 hours. Remove 1/4 cup of the sauce from the crock pot and mix with the 2 tablespoons cornstarch. Stir back into the Crock Pot. Add the broccoli, stir again, and cook for another half an hour. In the meantime, cook the rice. Serve Chinese Beef and Broccoli over rice. To make this as a freezer meal, mix the beef and sauce ingredients in a freezer bag. 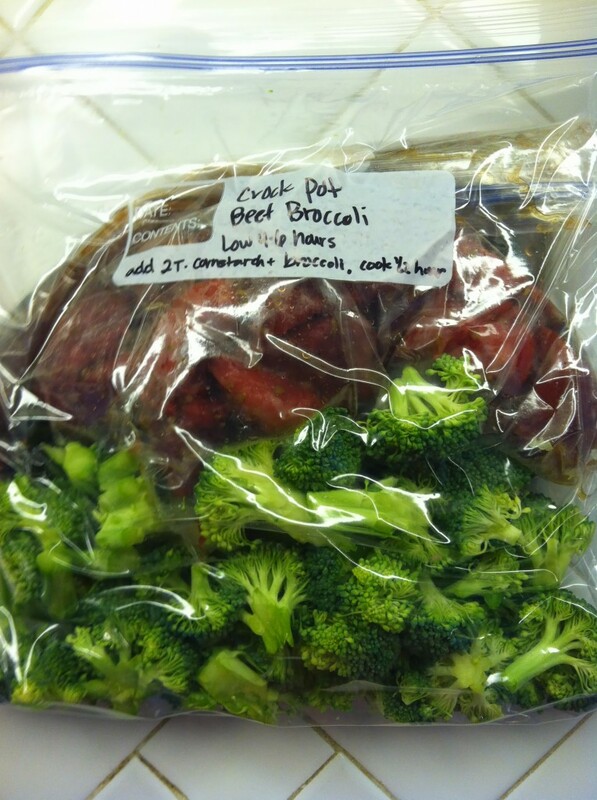 Then put the broccoli in a separate gallon freezer bag (see picture) and add the bag with the marinating meat. Thaw before adding to the Crock Pot, or cook for an additional 2 hours on low. *Note: This recipe makes 8 servings. You can half this recipe, but it will cook a little faster so keep your eye on the crock pot. Was trying to find a “print friendly” for this recipe? I am just missing it? Thanks! Highlight the recipe. Right click. Click on print. Done! 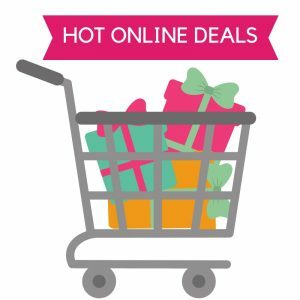 I was excited to see that you had some 21 day fix crock pot recipes on your site but the couple of recipes I looked at did not give any mention to what containers were used for each meal. Is that information anywhere else? Hi Sue – Look in the back of your 21-Day Fix meal plan book. For foods that use multiple ingredients, it gives some good guidelines as to what to cross off based on portion size and ingredients. Some of them I just “guestimate” based on what they are closest to. I find it is hard to follow the 21-Day Fix to a “T” but I do my best. Print Friendly???? Trying to plan weeks meals, can’t print this!!! Should the broccoli be blanched before freezing? I didn’t blanch the broccoli and it was fine. calorie count of this recipe? My favorite!! I love Beef and Broccoli. Adding this to next weeks meal plan! Please can you make these recipes printer friendly? Even when I highlight and try to print what I highlighted nothing will print. This looks great! How many ounces is the beef broth? If I were to add onions and peppers or carrots, would I add it when I add the broccoli? Thanks! 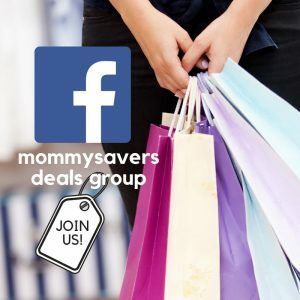 Is brown sugar really 21 Day Fix approved? I see in the recipe it calls for 1 can of beef broth. I have a box of beef broth. Can you tell me how many ounces are in the can you use? Great recipe, granddaughter told me I never need to order Chinese again. I wish there were still options to email myself the recipe. Anything “pinned” or “posted” disappears in 2 days. I have recipes in my email box that are over 5 year old, and I still use them… regulars, favorites, and especially seasonal !!! !